With the sound of a guitar strum marking the beginning of the two-weekend-long Coachella, it may as well have been the sound of a gunshot signaling the start of the 2012 summer music festivals. Audiences and bands alike travel to festivals – both large and small – to see their favorite bands all on the same bill and usually in atypical settings such as the woods, beaches, or city parks. Music festivals have come a long way in recent years thanks to the top-notch acts that appear year-in-and-year-out at California’s Coachella, Tennesee’s own Bonnaroo, and Chicago’s city-located Lollapalooza. On that note, we thought it’d be interesting to dig into our concert calendar and find out which upcoming artists are playing festivals this year. First on our lineup is Steve Martin & The Steep Canyon Rangers performing at the Stage Coach Music Festival in Indio, California. The festival takes place from April 27-29 and features another group on our concert calendar – The Mavericks. 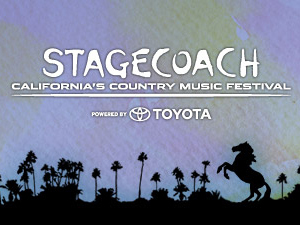 Other acts performing at this year’s Stagecoach festival include Brad Paisley, Blake Shelton, Alabama, Miranda Lambert, Chris Isaak, Sheryl Crow, and more Kenny Rogers. Another artist performing at a couple festivals this year is Trace Adkins. He’ll be ripping up the stage at Morgantown, WV’s Mountain Fest this July with John Kay & Steppenwolf, and then playing Bi-Mart Willamette Country Music Festival this August in Oregon with Martina McBride, Sugarland, and The Band Perry, among others. American Idol and recent ACM New Artist of the Year Scotty McCreery will be playing the Virginia Beach Patriotic Festival at the beginning of June. This weekend of shows features Scotty, Miranda Lambert and is topped off by the legendary Blue Angels performing their impressive aerial maneuvers each day. And we can’t forget Jamey Johnson performing this July at the Jamboree In the Hills in Ohio with some of country music’s finest, including Jason Aldean, Charlie Daniels Band, Little Big Town, and Lynyrd Skynyrd.